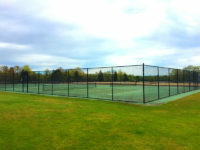 8 Full Tennis Courts open during park hours 8am to sunset and are first come first serve. DIRECTIONS FROM ROUTE 95 Take 95N to 146N to Slatersville/Forestdale exit/take right at end of exit then a left at light onto 146A North (changes into 102S). *Go to 107(East Ave)take right/school is approx 1.5 miles on left/take left at top of drive for gym, rink and fields. DIRECTIONS FROM ROUTE 295 Take 295 to exit 8B/this puts you on route 7/stay on 7 for approx 7.5 miles/take a left on 102S and follow above directions from *. From 95, either north or south, take exit 6a (Hopkins Hill Rd) and follow Hopkins Hill Rd to Rte 3 (Tiogue Ave.) Turn left onto Tiogue Avenue. At your fifth traffic light(apx. 1 mile) turn right onto Reservoir Road. Travel apx. 1/2 mile, entrance to Coventry High School will be on your left. Gymnasium is equipped with an AED unit. 95N or 95S to Exit 14 to Route 37W. Go to end. Take right on Phenix Ave for approximately 1.2 miles. 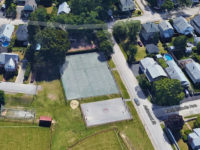 Right onto Metropolitan Ave. for the tennis courts and gym. Continue on Phenix Avenue for outdoor fields. An AED is available in the main foyer of the gym if needed. 95N or 95S to Exit 14 to Route 37W to end. Right on Phenix Avenue. Rink is on right less than 1/4 mile. 95N to Exit 16 (Rte 10) to Elmwood Ave Exit. Bottom ramp take right. Continue to light at Park Ave. Left to next light. Right on Park View Blvd. School on right. 95S to Exit 16 (Rte 10) to Park Ave East. Left at light. Right at next light. (Park View Blvd). School is on right. From RT. 295 take exit 10. Take a right off the exit. 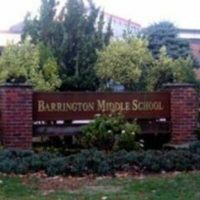 The school is 1.5 miles on the left. Tucker Field on Mendon Road across from Cumberland High School there are 4 courts. Seven Rhode Island League Teams Win Sectionals! Wednesday, Nov. 15, 6:30 p.m.